It proved to be an exciting weekend of rugby, despite for many the results! Firstly congratulations to all our players, both men and women who were involved in the weekend Internationals against France. We are all immensely proud of you. There were lumps in many throats as we watched Newlyn’s Jack Nowell run out on to the Stade de France pitch to earn the first of hopefully many international caps. After a shaky start, but you could say that about the whole English XV as they proceeded to concede a try to France after just 31 seconds scored by Yohan Huget and then finding themselves 16-3 down they rallied well to lead going into the final moments of the game only to be un-done at the death by a third French try scored by another promising young player in Toulouse’s Gaël Fickou. 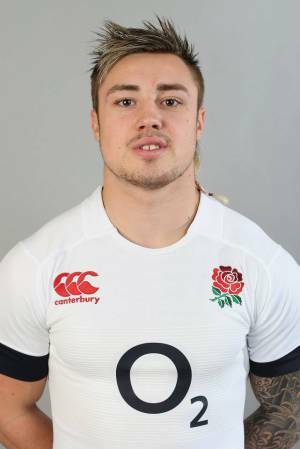 I wasn’t surprised to learn after the match that Nowell had made the most yards for England during the game and I thought he adapted quickly to the pace of international rugby and must surely get another chance this Saturday in the Calcutta Cup game against Scotland at Murrayfield. Nowell’s fate in losing to France was shared by all our players representing England this weekend, Joel Conlon in the Under 20’s, Ben Hilton and Jamal Ford-Robinson for England Counties (see my report in my previous blog entry), Rob Coote with the England Students and Lauren Chenoweth with the Women’s Under 20, as France completed a whitewash against our representative sides. This weekend was designated as a catch up weekend for our regional leagues but the reality is with the bad weather set to continue fixtures are beginning to seriously pile up as pitches remain badly water-logged. On Sunday the Cornish Pirates could only salvage an 18 all draw against the bottom side in Championship Ealing Trailfinders at the Mennaye, with Kyle Moyle’s last gasp try converted by Ian Hallett to earn a draw. Hallett could have won the game with a penalty right on time but his effort missed. The result leaves the Cornish Pirates ten points off the play-off spot which appears to be slipping away from their grasps for this season. Read the WMN match report in the link here. Ian Davies’ thoughts on his side’s performance in the link here. Good to report two wins for our National League 2 South sides on Saturday with Redruth finally getting an away win 35 – 13 and five welcome league points at Exmouth. Read Ed Bawden’s match report from the WMN in the link. The Cornish All Blacks earned a hard-fought 17-5 win against Clifton at Polson Bridge, in a game that was described as “agricultural” on the radio! Read Bill Sobey’s match report from the WMN in the link. In Tribute South West 1 West the games scheduled for Camborne and St. Austell were called off. In Tribute Western Counties West, there was just one game played with Tavistock and St. Ives sharing 66 points in a drawn game. Jack Kessell, Tom Chandler, Kelvin James, Tyler Gendall and Rob Rowe scored the hakes’ five tries with “Eggy” Williams kicking four conversions. Off the field St. Ives learned that their win last week against Truro had been chalked off by league officials due to an alleged irregularity over front row replacements when the game went to uncontested scrums. An appeal is likely! Truro have been awarded five points which now puts them on 65 points and up to second place in the league table two points ahead of Burnham, though having played two games more. In Tribute Cornwall & Devon League, Saltash lost at home to leaders Exeter University 44-10, whilst Falmouth lost at Withycombe 15-7. Ashley Searle with a try for the Eagles converted by Justyn Irons. In Tribute Cornwall 1 Camborne School of Mines defeated Perranporth 41-19 in a home game that was in fact played at Perranporth. Bad luck to Liskeard-Looe who lost their RFU Junior Vase regional final to Longlevens from Gloucestershire at Lux Park on Saturday 38-17. It was the Lions’ first defeat of the season. Cornwall Under 20’s got their County Championship program off to a great start with a 37-35 win away to Dorset & Wilts on Sunday. You can read my match report in the link from the West Briton site.